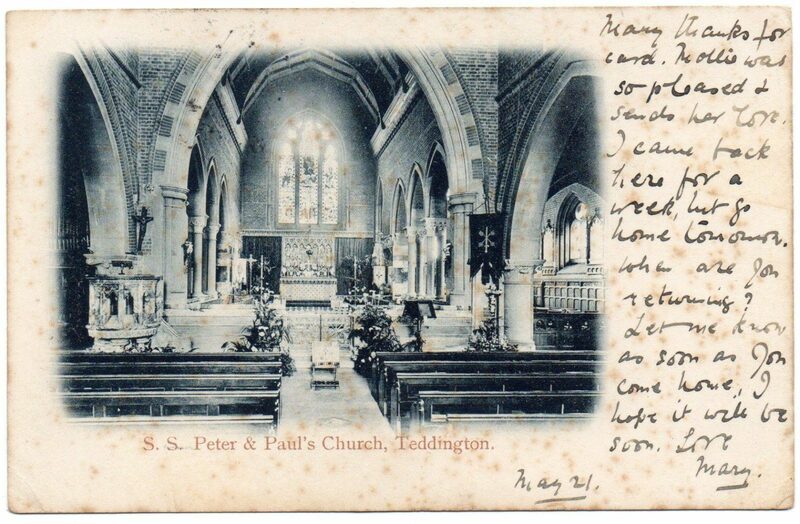 The first chapel in Teddington can be traced back to 1217. Then, in the early 16th century, the South aisle (the oldest existing part of the present church of St Mary & St Alban) was built. With the arrival of the railways 1863, Teddington’s population began to grow significantly as it evolved into a suburban town with the attractions of space, fresh air, parks and a Thameside location. The old Parish Church of St Mary (Figure 1) was not large enough to accommodate this expanding population, so the final decades of the nineteenth century saw several significant developments. The first was Christ Church, which was founded in 1864 by parishioners who objected to “popish” practices introduced by Daniel Trinder, vicar of St Mary’s between 1857 and 1878. (Trinder had removed the old pews, introduced Hymns Ancient and Modern and began preaching in a surplice.) 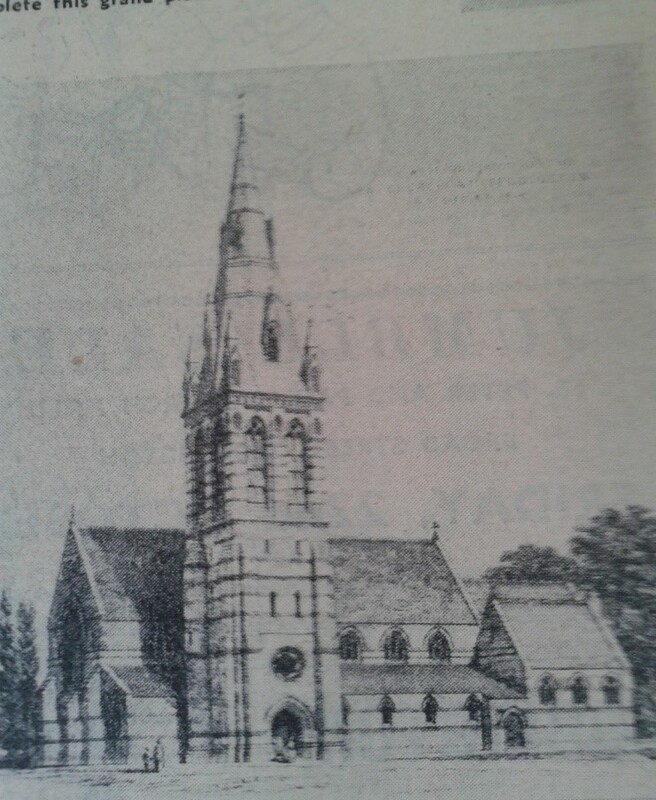 A permanent Christ Church building was erected in Station Road in 1869-70. Daniel Trinder was also the driving force behind the founding of the new church of SS Peter & Paul, supporting ‘high church practices’. It opened in Broad Street in 1865, opposite the current church. The original church was built was designed by G.E. Street and completed in 1873 (Figure 2) although without the originally planned tower and spire (Figure 3). Seven years later, in 1880, it became an independent church with its own parish (Figure 4). 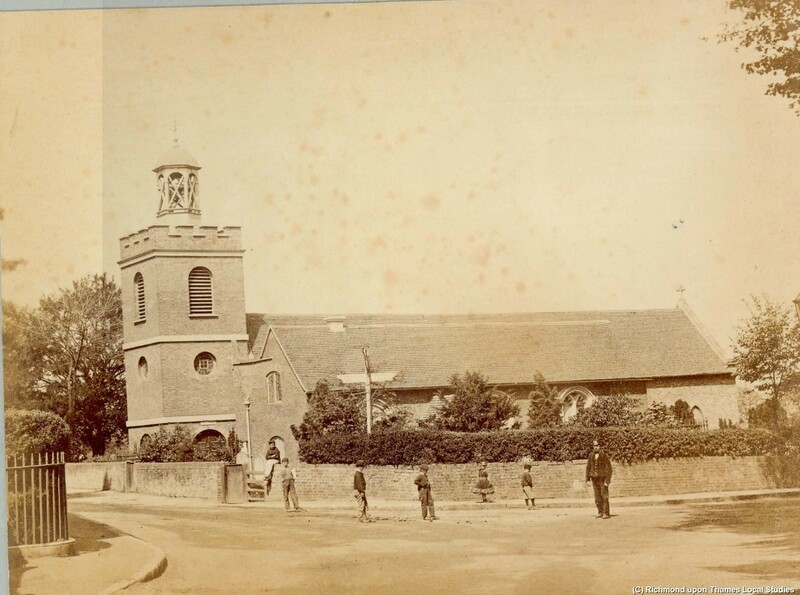 Opposite it stood Teddington Public School which in 1906 changed its name to St Mary’s and St Peter’s School. 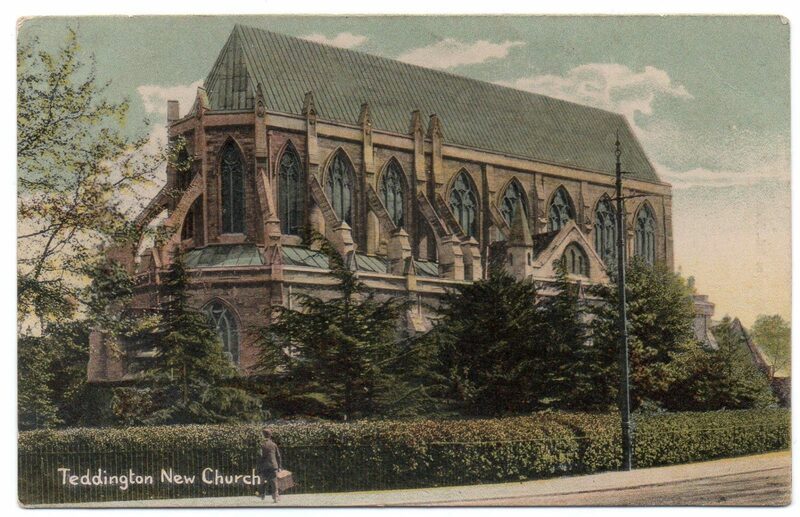 When the Reverend Francis Leith Boyd was appointed Vicar of St Mary’s in 1884, he decided to respond to the growth of Teddington in an ambitious way, by replacing St Mary’s with a large, imposing Gothic-style church, designed by local architect William Niven. St Alban the Martyr – as the new church was called – was dedicated in 1889 (Figure 5), whilst in the same year the church of St Mary was closed. Fortunately, although the old building deteriorated, it was not demolished because of its iconic status as one of Teddington’s oldest surviving buildings. St Mary’s was reopened for weekly services in 1936 as ironically, it was now St Alban’s which was under threat. The high cost of its upkeep was increasingly beyond the means of its declining congregation. The original design for the church was never completed and it was deconsecrated in 1977. St Mary’s regained its status as the local parish church and was renamed St Mary with St Alban. St Alban’s itself was transformed into the Landmark Arts Centre following major repair and refurbishment work in the 1990s. 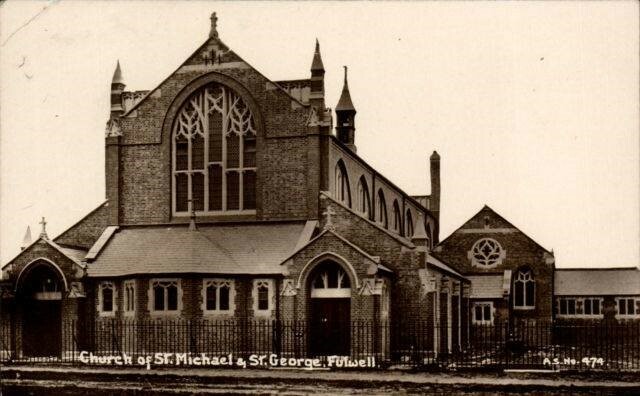 Mention should also be made of the church of SS Michael & George, which opened in 1913 (Figure 6). This was designed by J.S. 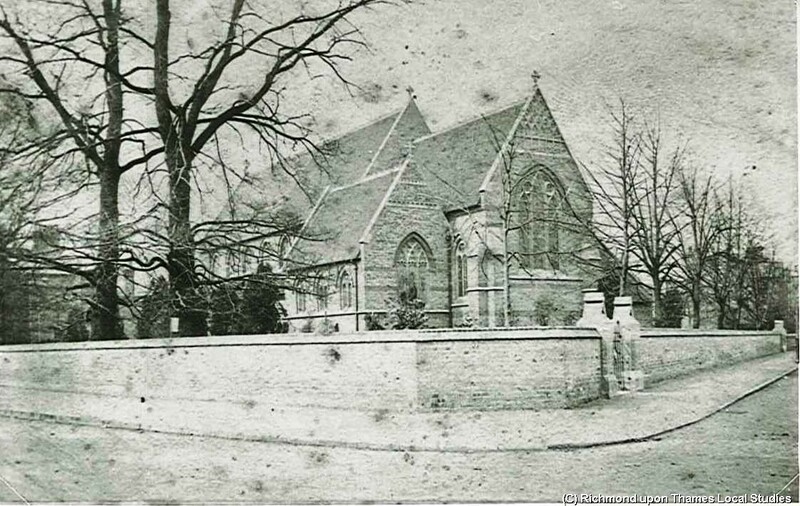 Adkins and designated as a parish church in 1914 to cater for the growing population of Fulwell. 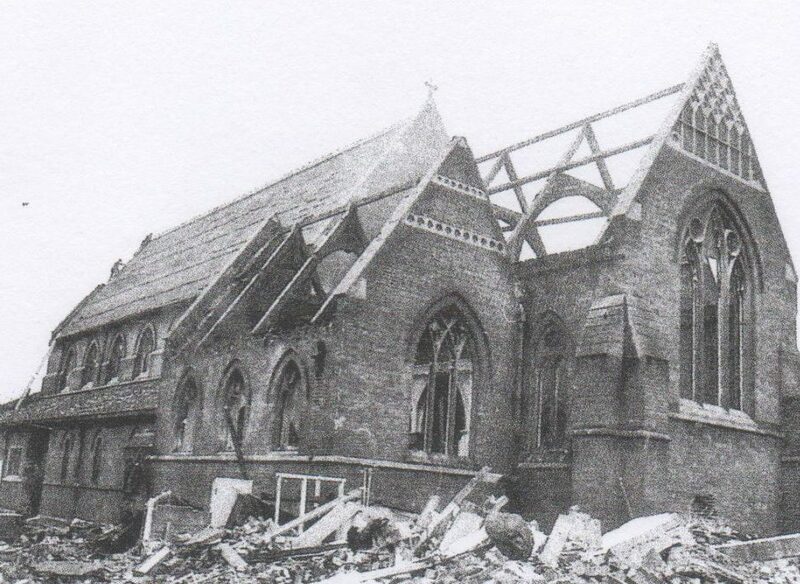 In the late 1970s, the Victorian church building of SS Peter & Paul was demolished (Figure 7) and replaced by a new church built on the site once occupied by St Mary’s and St Peter’s school, which in 1974 had moved to Somerset Road. Once again, fluctuating fortunes led to rationalisation, and SS Peter & Paul and SS Michael & George were joined as a united parish in the 1990s. This was not a happy experience for many involved at the time, and finally the church of SS Michael & George was closed on the familiar grounds that the cost of needed repairs and upkeep were beyond the means of the small congregation. As with previous church closures in Teddington, the building deteriorated but, fortunately, was not demolished and in 2014 the church re-opened as St Michael’s and now flourishes. Today there is ever closer co-operation between the two parish churches of St Mary with St Alban and SS Peter & Paul, both of which face the future with renewed vigour and optimism. You can read the full history here.